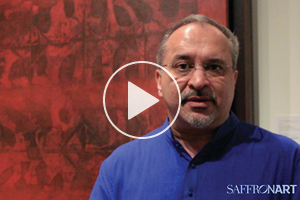 Saffronart CEO Dinesh Vazirani talks about the significance of S H Raza's paintings Jaipur and Jodhpur, and their role in the artist's journey of self-discovery. 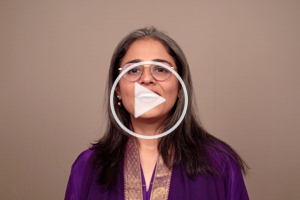 Saffronart Senior Vice President Punya Nagpal talks about Hanuman's Discourse, a painting by Raja Ravi Varma, centred on characters from the Ramayana, and the skillful manner in which he portrays the characters. 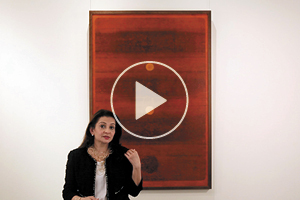 Saffronart President and Co-founder Minal Vazirani talks about V S Gaitonde's journey into becoming one of India's finest abstract artists, and his mesmerizing 1973 work where he achieves a balance and spiritual harmony. 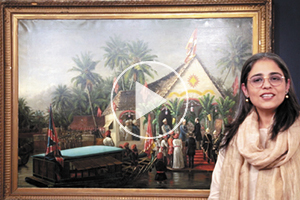 Senior Vice President Punya Nagpal describes this rare masterpiece by Raja Ravi Varma, illustrating the welcoming party for the 3rd Duke of Buckingham and Chandos, Richard Temple-Grenville, on his official visit to Travancore, in 1880. 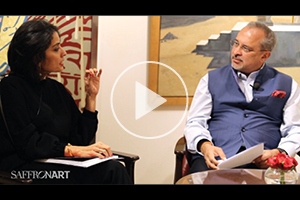 CEO Dinesh Vazirani speaks to Amrita Jhaveri on contemporary Indian art, her journey as a collector, and the selection of works from the Amaya Collection that feature in the Contemporary Indian Art online auction on 4-5 December 2018. Saffronart CEO Dinesh Vazirani talks about V S Gaitonde, one of India's greatest Modernists, and an enigmatic canvas he painted in 1975. A classic example of Gaitonde's works from a period highly coveted among collectors, this work merges his interest in Zen Buddhism with the principles of calligraphy. 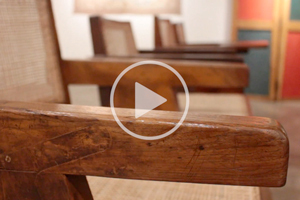 The Design Sale features furniture from across India, highlighting its rich design history. Among these is an intricately carved rosewood Davenport desk from Ahmedabad that represents Gujarat’s rich tradition of woodworking; chairs by the internationally renowned American architect George Nakashima; sleek and streamlined Art Deco furniture that reflects Mumbai's architectural heritage; and tables and chairs that heralded the arrival of modernist architecture in India. 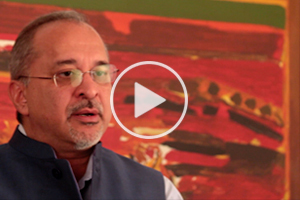 CEO Dinesh Vazirani speaks about the first time he saw the monumental painting in 2007 during a meeting with theatre legend Ebrahim Alkazi, the relationship between the collector and artist, and why this painting is one of the finest representations of Kali in Indian art. Our Summer Online Auction, which is our 200th auction, marks an important milestone in our eighteen-year journey this far. As we reminisce on this long journey, we thank collectors, consignors, artists, galleries and fellow art lovers who have helped us get to where we are. 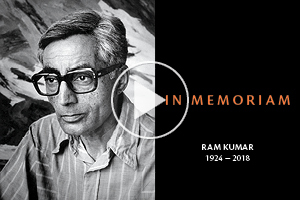 In 2016, Saffronart interviewed the eminent artist Ram Kumar. His passing on 14 April 2018 is a huge loss to the Indian art community. As we remember him, here are some treasured moments with the legend himself. Saffronart co-founder Minal Vazirani and leading jewellery historian Usha R Balakrishnan discuss the 5,000-year-old legacy of Indian jewellery, the influence of Indian designs and craftsmanship on leading international jewellery houses, and the eminent speakers who will share this history and knowledge at our upcoming conference, The Timeless Legacy of Indian Jewels. 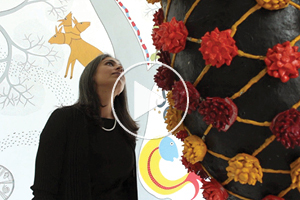 Senior Vice President Punya Nagpal discusses the striking effect of contemporary artist Ravinder Reddy's monumental sculpture, Devi. 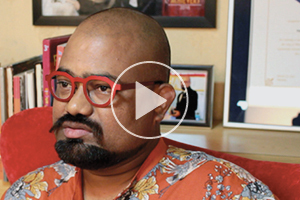 Valay Shende, famed for his recent public installation "Dabbawala", discusses his "Buffalo" series and the philosophy behind his art during Saffronart's visit at the sculptor's studio. 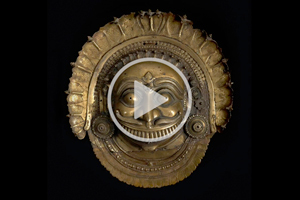 The upcoming auction of folk and tribal art presents India’s diverse art traditions including paintings by masters of Gond, Mithila and Warli, exquisite kantha and bagh embroidery, and sculptures and masks in the bhuta and theyyam traditions. 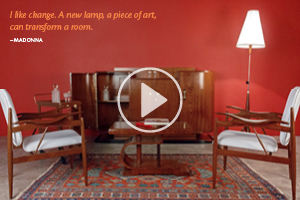 Featuring iconic modernist furniture designed by Le Corbusier and Pierre Jeanneret, chairs by George Nakashima, the streamlined elegance of Art Deco, and much more.